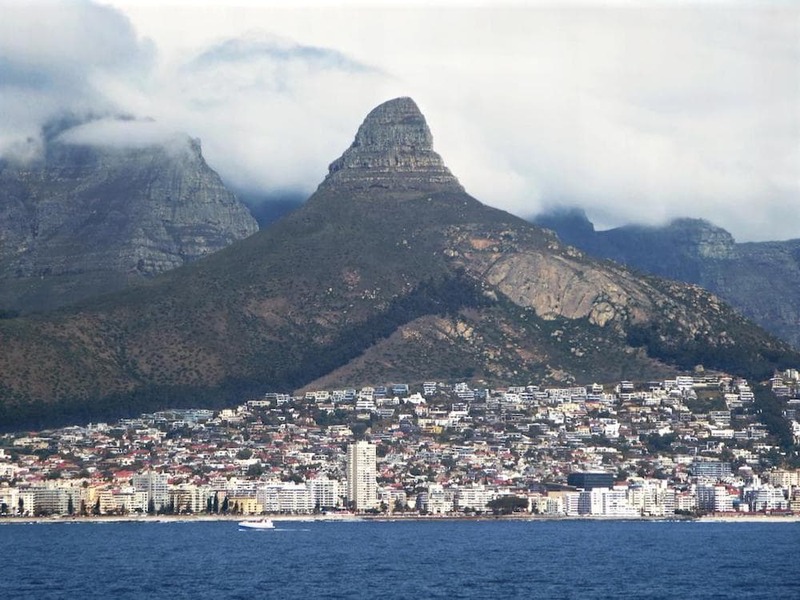 In less than 80 days, Cape Town, South Africa will run out of water. The region is experiencing a three-year drought, the worst in over a century, and the city’s reservoirs are down to 13 percent capacity. But despite facing a day in the near future when water will officially be cut off from homes and business, some residents have been dragging their feet to meet conservation goals set by city and government officials. Maggie Koerth-Baker, senior science reporter at FiveThirtyEight.com, joins Ira to talk about why Cape Town could be the first major city to be run dry by drought caused by climate change. Plus, an amateur astronomer finds a misplaced NASA satellite in our own cosmic backyard, and an orca named Wikie joins the list of animals who can mimic human speech. IRA FLATOW: This is Science Friday. I’m Ira Flatow. A little bit later in the hour we’ll talk about China’s energy ambitions. Yes, lots of coal, but also floating solar farms, record breaking wind installations, and all sorts of electric vehicles zipping around. But first, Cape Town, South Africa, a population of almost 4 million people, will run out of water in less than 80 days. The region is in the middle of a three year drought, the worst in over a century. The city’s reservoirs are down to 13% capacity. But despite soon facing a Day Zero, when all water will officially be cut off, some residents have been dragging their feet to meet conservation goals set by city and government officials. Joining me to tell us more about that story and other short subjects in science is Maggie Koerth-Baker, senior science reporter for FiveThirtyEight.com. Welcome back, Maggie. MAGGIE KOERTH-BAKER: Hi, thanks for having me. IRA FLATOW: So give us an update on the situation on the ground right now in Cape Town. MAGGIE KOERTH-BAKER: Well, so right now, Day Zero is set for April 16. That’ll be the day when the tap water in your house gets turned off and residents are forced to wait in line for a daily water ration of about 6 and 1/2 gallons per person. But that date also changes a lot, and that’s because it is based not on an absolute “this is when it’s going to happen” but on the level of water in the reservoirs. So it’s possible that you could still sidestep Day Zero and have it never actually come to pass, though city officials are telling local media in Cape Town that there’s about a 60% chance now of Day Zero happening. IRA FLATOW: So they’ve instituted water conservation efforts. But what I’m hearing is that the people– not everybody is listening to that. MAGGIE KOERTH-BAKER: Yeah. Yeah. The water conservation efforts actually became more strict yesterday. Yesterday the limit went from about 20 gallons a day a person to 13 gallons a day per person. But 45% of Capetonians were already exceeding the 20 gallons a day limit. And that’s even with fines to the tune of about $350 a person whenever you get caught. I mean, it’s something where attention is on this but compliance still isn’t great. IRA FLATOW: Yeah. I guess you just have to wait for the weather. There’s nothing gonna turn it around– the drought, I mean– is there? MAGGIE KOERTH-BAKER: Yeah. I mean, conservation is the main thing that they’re saying could really turn it around. At this point, even if you got a good storm, it really wouldn’t be enough because it’s gone on for so long. And this is something that is really strongly connected to climate change. You know, there are wet and dry years in Cape Town. But this is a dry climate. And since 1960 it has, on trend, been getting drier and drier. And droughts like this big one are likely to become more common. IRA FLATOW: The new normal, as they say. OK. Let’s move on to France, where researchers have taught an orca whale to mimic saying “hello.” This is what it sounds like. MAGGIE KOERTH-BAKER: Yeah. I mean, it didn’t. And that is one of the things that’s interesting about this. I mean, Wikie’s– Wikie is the name of the orca whale– her mimicry is not perfect. But it’s really impressive if you consider the physiological differences between how humans and orcas speak, right? So we speak by having air kind of forced through our throats. They’re speaking with air forced through these little passageways and holes in the upper part of their head. So she’s trying really hard to adapt to something that’s completely different than the way that her body even works. And it’s a pretty impressive feat when you get right down to it, because there’s only a handful of other mammals that have ever been able to mimic human speech at all. IRA FLATOW: So the orca’s not speaking through its mouth, it’s speaking through its blowhole? Is that what’s happening? MAGGIE KOERTH-BAKER: Well, it’s speaking through its mouth, but the way that it makes sounds is different from the way that we make sounds. The sounds come from a different place. MAGGIE KOERTH-BAKER: Like speaking through your nose. IRA FLATOW: –there’s a lawsuit in California that may require a cancer warning when you come in for your next cup of Java. How is coffee connected to cancer? MAGGIE KOERTH-BAKER: So this is super interesting because it ends up demonstrating, to me, how scientific decision making about personal risk can be as much about philosophy as evidence. So any time you roast coffee you get, as a side effect, this chemical called acrylamide. You know, it’s in all coffee. The exact amount varies. It seems like the longer and darker you roast the beans the less it has. But acrylamide has been shown to be dangerous in some circumstances. So if you feed rodents really high doses of it they’ll get cancer, or increase their risk of cancer, rather. And it also has been used in industrial processes and has been shown to cause nerve damage in workplace exposures. But we don’t really know much about what that means when it comes to the health risks of coffee drinking. This is something that is much, much lower doses than what those rats are getting, and humans metabolize this chemical in really different ways than rodents. But because it has these laboratory-based risk, exposure risks, it’s on this list with the state of California as a chemical that people should be warned about. And so, about eight years ago, this activist group, called the Council for Education and Research on Toxics, started suing companies that sell coffee for failing to provide warning labels about acrylamide. There’s now been about 13 different defendants who have settled out of court, most recently– and why this has been in the news again– with the 7-Eleven stores. So they’ll pay fines, and they’ll start to post some warnings. But we don’t really actually– whether that actually makes sense or not is less about science than about how you feel about personal risk. You know, two people could look at the same amount of evidence on acrylamide in coffee, and one person might see an uncertainty that could hide danger and they’d want a warning, and another person could see an uncertainty that suggests there’s not really a problem and they might think a warning is asinine. IRA FLATOW: And quickly, I know that NASA lost something and an amateur astronomer actually found it. MAGGIE KOERTH-BAKER: Yes. NASA lost a space satellite, a research satellite, in 2005. And it turned back up again last month. And they’re now trying to re-establish contact with it and figure out whether its old technology can actually communicate with our new technology. Things have changed so fast that it might not be able to. IRA FLATOW: Go– yay– amateur scientists. Amateur astronomers. Thank you, Maggie. MAGGIE KOERTH-BAKER: Yes. Thank you so much. IRA FLATOW: You’re welcome. Maggie Koerth-Baker, senior science reporter for FiveThirtyEight.